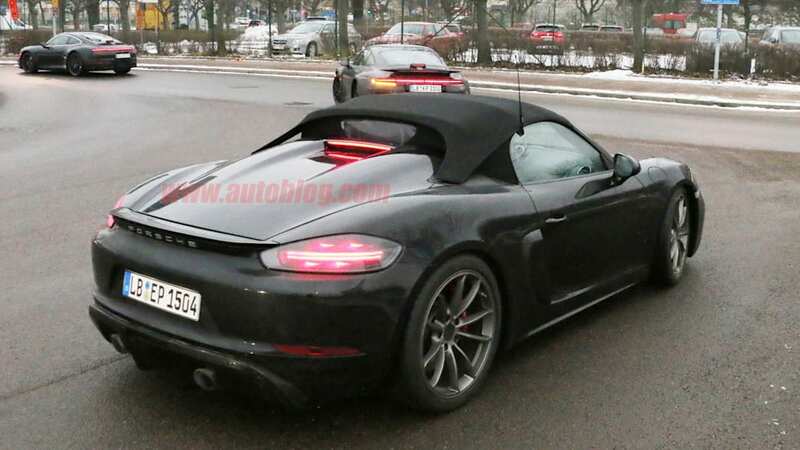 It looks like it's taken a few bits from the Cayman GT4. 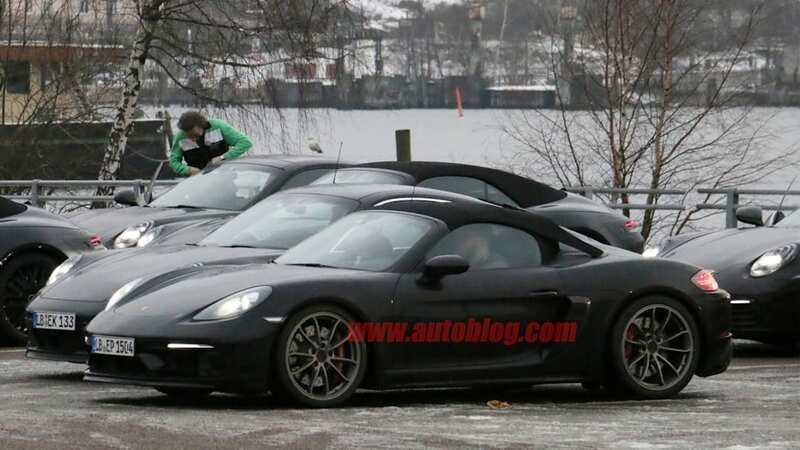 Porsche doesn't go through much effort to camouflage its test vehicles. Maybe that's because most of its vehicles tend to look a lot like their predecessors, with each design being more evolution than revolution. 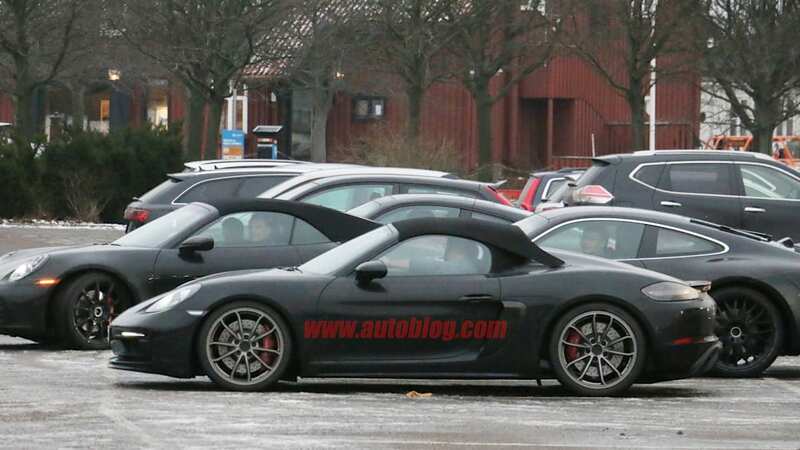 Yesterday we saw spy shots of the latest iteration of the 911 Turbo, new fixed-rear wing and all. 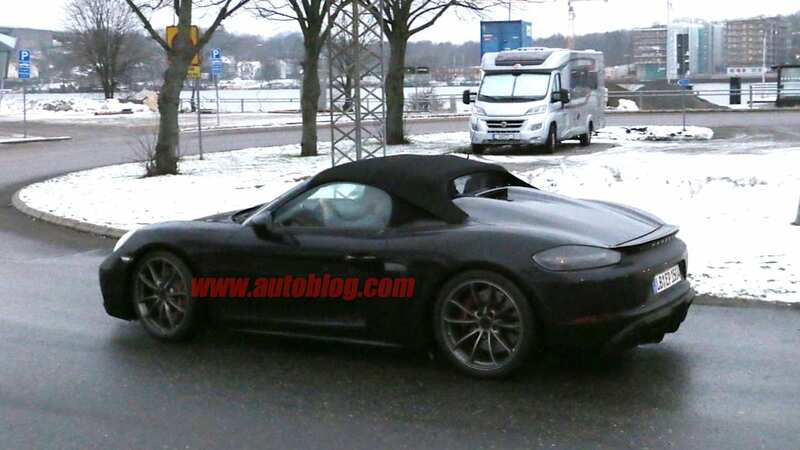 Today, we have a pretty clear view of the upcoming 718 Boxster Spyder. 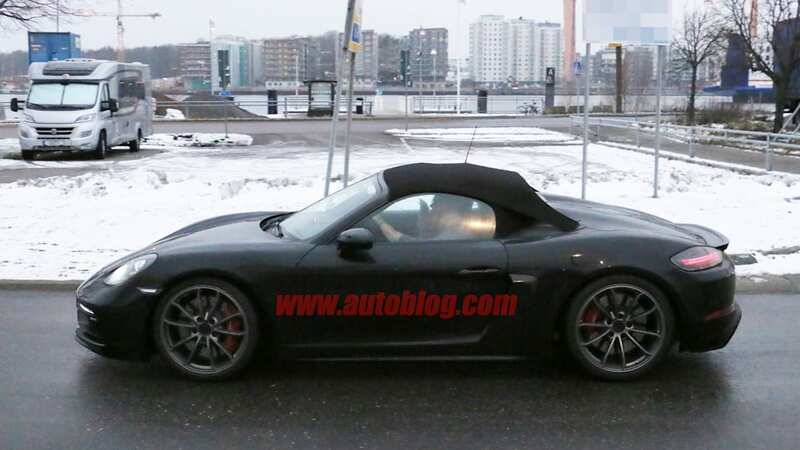 This isn't our first look at the car, but there have been a few changes since the last time we saw it pop up in public. 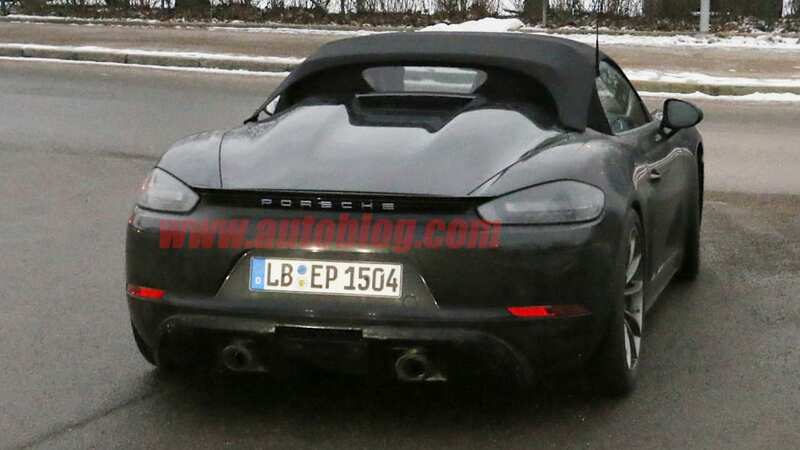 This will be the third iteration of the Boxster Spyder and the first one to wear the 718 designation. Previous models have gone on a heavy diet, dropping hundreds of pounds over their stablemates. They also get a nice bump in power. 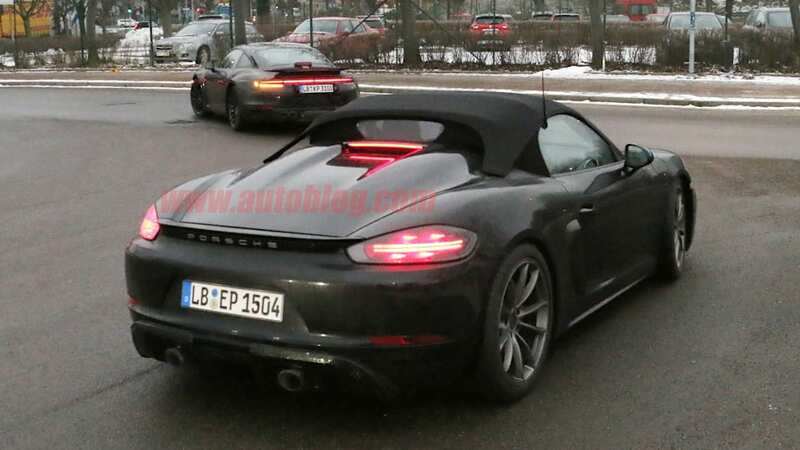 The last model was both the lightest and most powerful Boxster available at the time. Expect the same thing to be true of this new model. 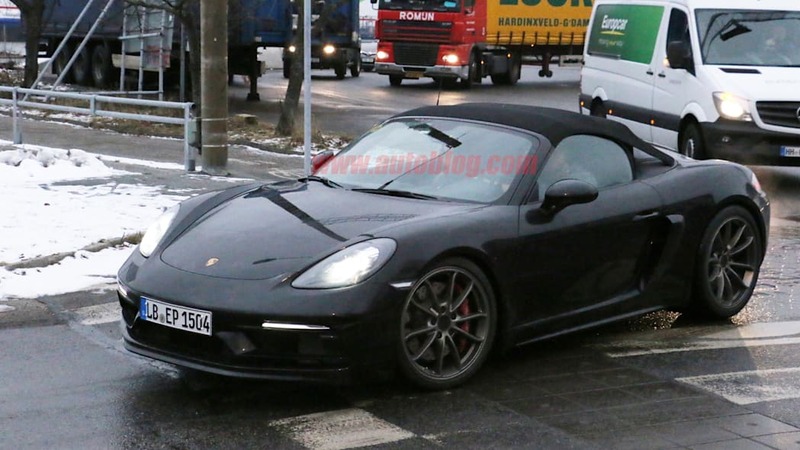 Though there are some rumors that the Spyder will go back to using a flat-six, we'd be surprised if Porsche packed anything other than a turbocharged flat-four under the skin. 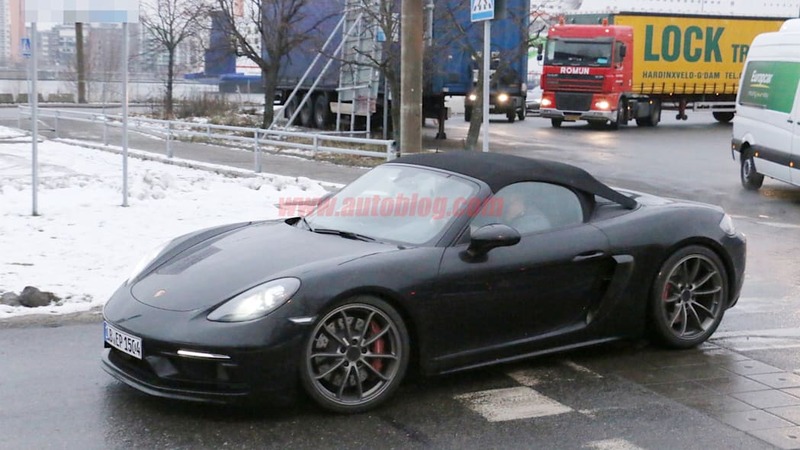 Visually, the Spyder doesn't look all that much different than other 718 Boxsters. 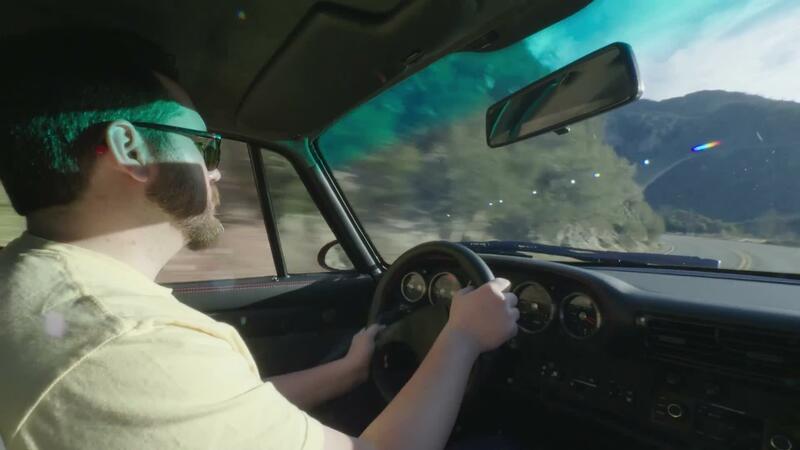 The compact convertible top is the most obvious change, with floating arms that stretch back and attach to the body just forward and above the rear wheel. The rear exhaust has been changed, too. 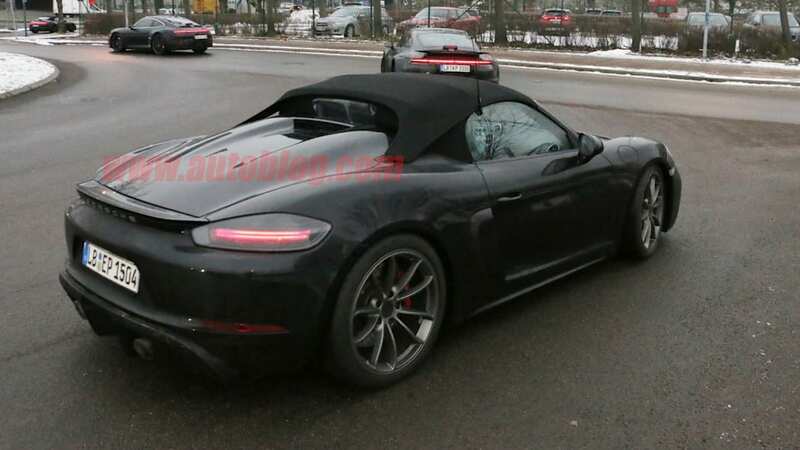 Rather than two outlets in the center, the Spyder gets two larger exhaust pipes coming out below the corner of the license plate. 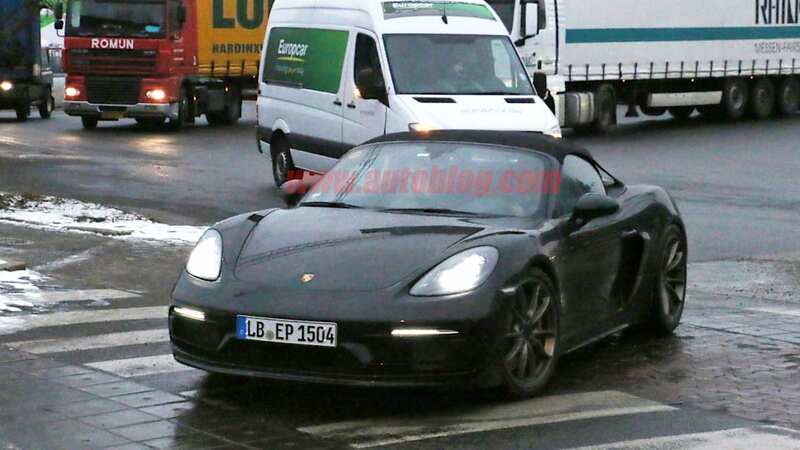 Compared to the last set of photos, this Spyder has some additional bodywork on the side intakes, similar to that of the Cayman GT4. 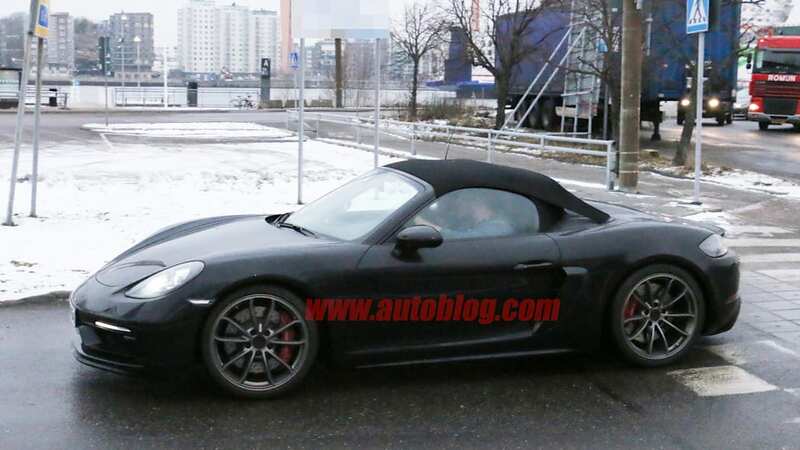 It looks like it's wearing the wheels and brakes from the GT4, too. 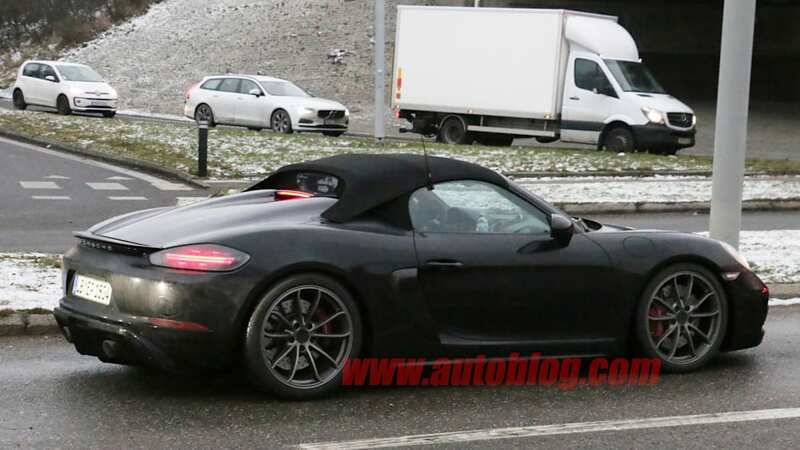 There's been no official word on the car, but don't be surprised if we see the full reveal as soon as the Geneva Motor Show in March.